With the race coming up I planned an easy week, almost a taper ! Started off Monday with an easy 4 miles at home. Tuesday I hit Umstead for some hills. Felt really good and the hills seemed easy ! But maybe not the best thing to do before the race. Wednesday was a flat easy 5 along the crabtree greenway. 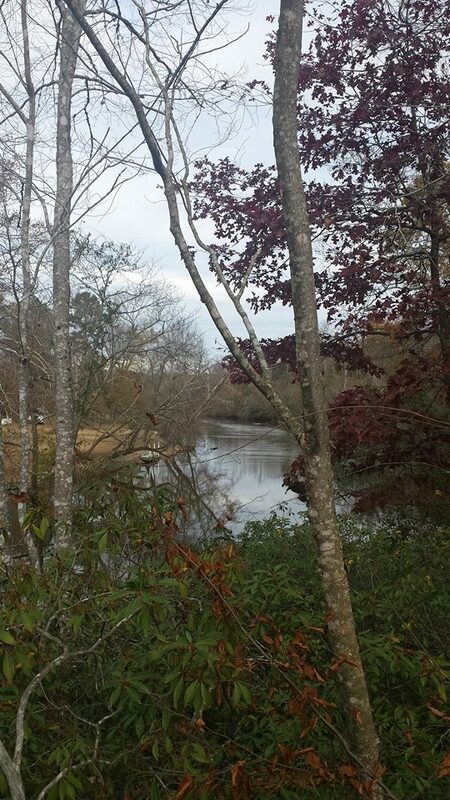 Thanksgiving Day was another easy 5 along the Neuse on a lovely afternoon. And Friday was a rest day ! 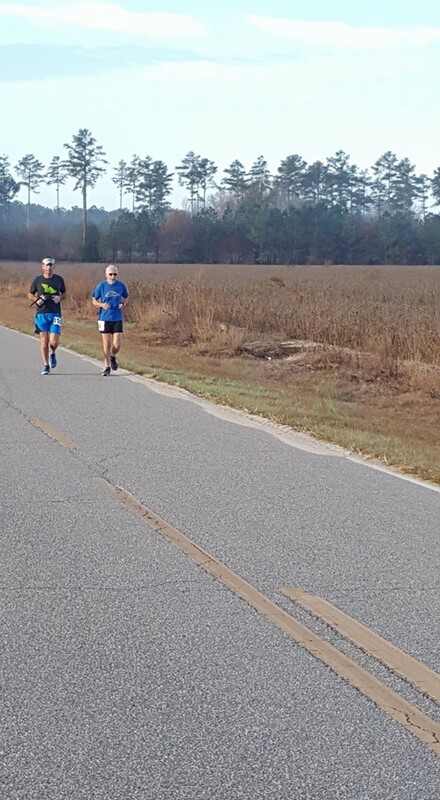 I started off at my normal easy pace and after about a mile, Mark Johnson caught up to me and we ran that whole first lap together. I commented to him around mile 4 that I was ok but just not feeling it. This pace should have felt so much easier. Finished that 1st 10,5 mile loop right on pace but I was already sweating so I took off my shirt. Can hardly beleive I would ever run Derby Shirtless ! Usually it's a battle to stay warm ! 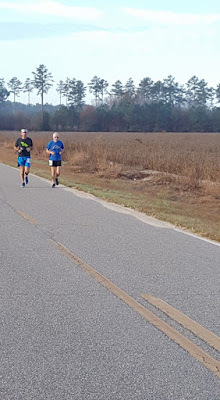 By mile 14 and another trip over the Pappy Rabb hills I knew it was over and so after the easy next few miles at 17 I shut it down and began a run walk just to get it done with as little suffering as possible. A part of me just wanted to quit and save it for another day at the end of lap 2 at mile 21 but no way I was going to do that unless I was injured so off I went for lap 3, I actually took a little time to talk at the aid stations and get my bottle refilled on this last one. and then after leaving the last one with about 3.3 miles to go I suddenly began to feel a lot better and picked up the pace quite a bit. So Derby #12 is in the books. As always a great little race. Thanks to Mark Long for putting on this gem and all the great volunteers, most of whom are friends. I think the spaghetti lunch afterwards may have been the best ever and as always the best part is the post run socializing. I am very thankful that I made it through the entire race pain free ! So glad everything held up. Big thanks to Stiner Massage for keeping me rolling ! I am 99.9% sure I want be back next year for #13 as I am taking time off from ultras for the forseeable future but hopefully I can be one of the volunteers next time ! I rested on Sunday to complete the week by the way but took a leisurely walk for 3 miles along the beautiful Neuse Greenway to loosen up a bit and enjoy the day.